There are many ways to get Donationcoin. Faucet - A faucet is a website that gives away a small amount of a coin. It is usually paid for by a lot of advertising or, more rarely, used to help newcomers gain better understanding of using their wallet but, you are welcome to return as many times as you like. Mine - Transactions are moved along the blockchain by a process called mining. When you mine, you are rewarded for your computational power and electricity you use for helping. Buy - Websites that sell cryptocurrencies are called exchanges. Usually you will need to obtain Bitcoin before buying Donationcoin with it. In addition, you can earn Donationcoin by helping the project. We will pay you Donationcoin from the premine! You can contact charities, contact exchanges, help promote, help develop, or any way you can dream up, we would love the help! 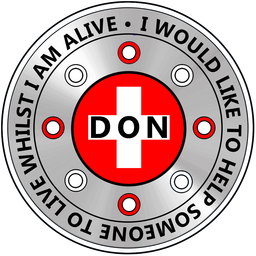 If you are interested in helping Donationcoin help people make charitable donations and therefore; helping charities and people in need, please contact us!